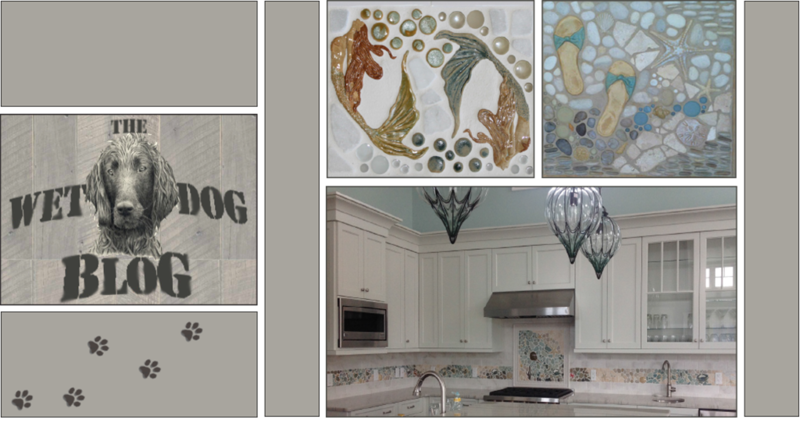 Here at Wet Dog Tile we take pride in the work we do. We spend our time to make sure the client gets exactly what they're looking for! 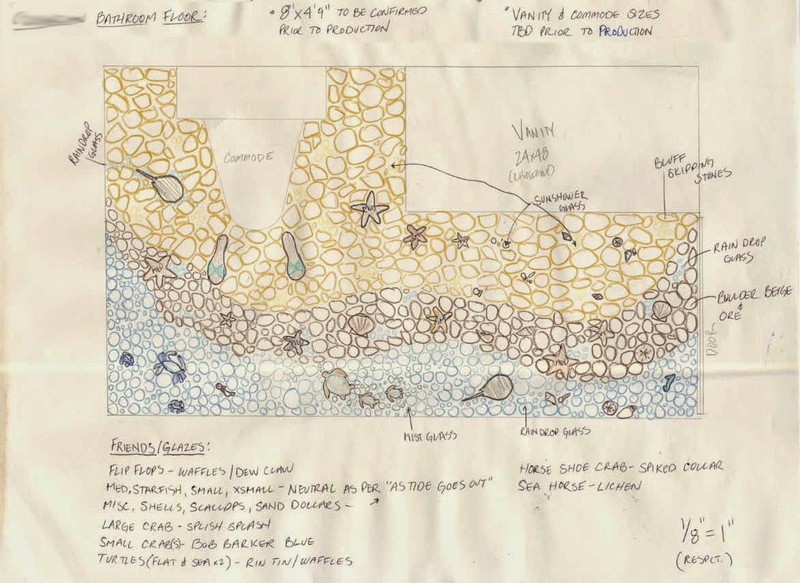 Part of our process (if the client opts for it) is drawing a sketch of the final piece before creation, that way everyone is on the same page. 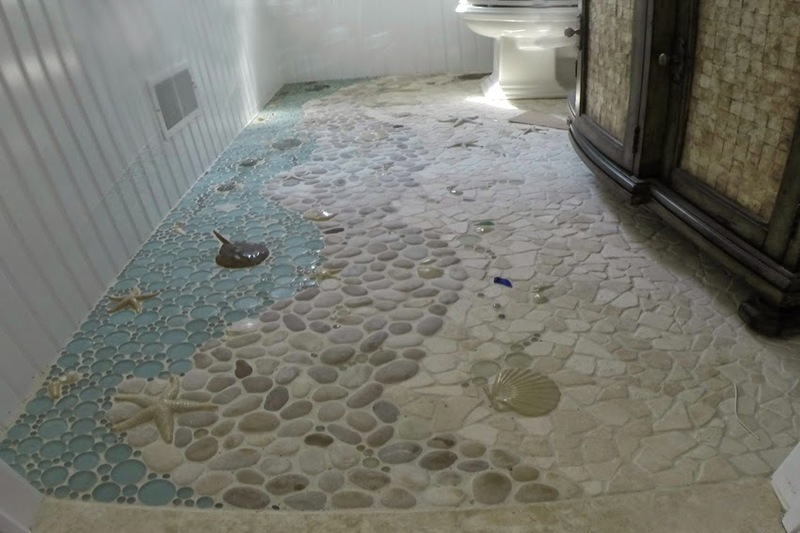 This customer is planning to have their entire bathroom floor done! Once the sketch is approved, we get to work! 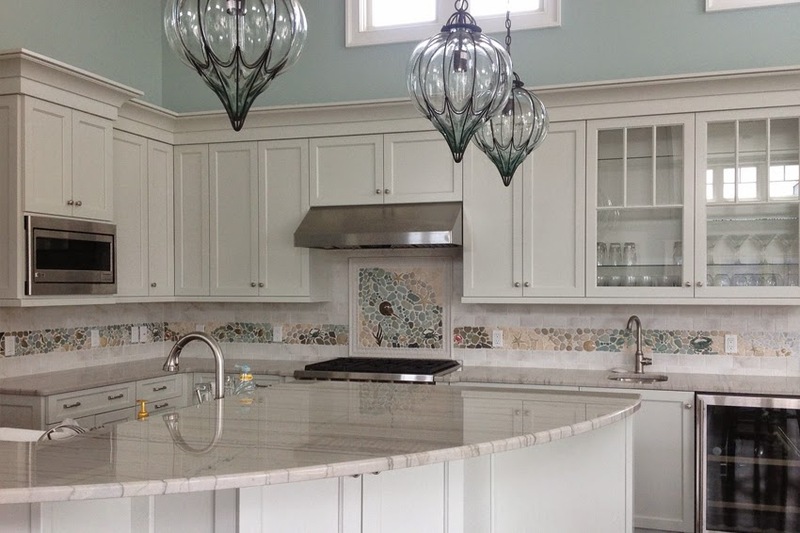 We love seeing the final product, so we encourage our clients to take photos of the finished installation. 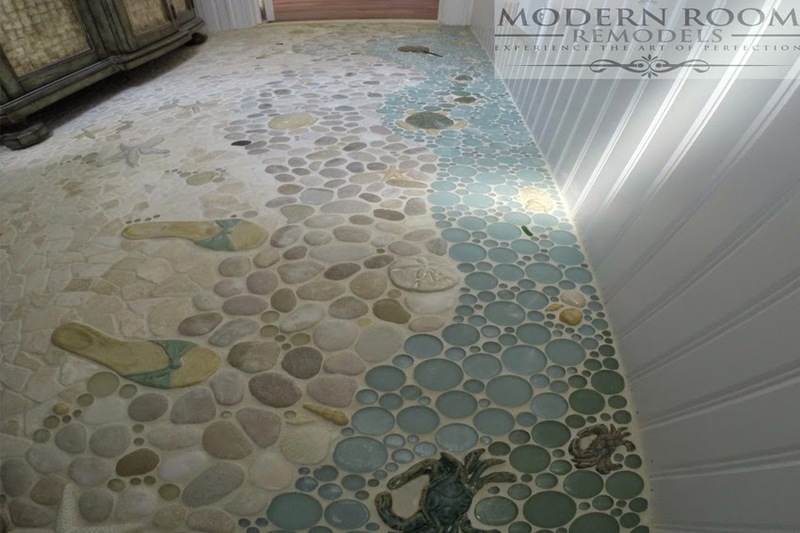 Here are a few photos of the finished bathroom floor that began as the sketch above! 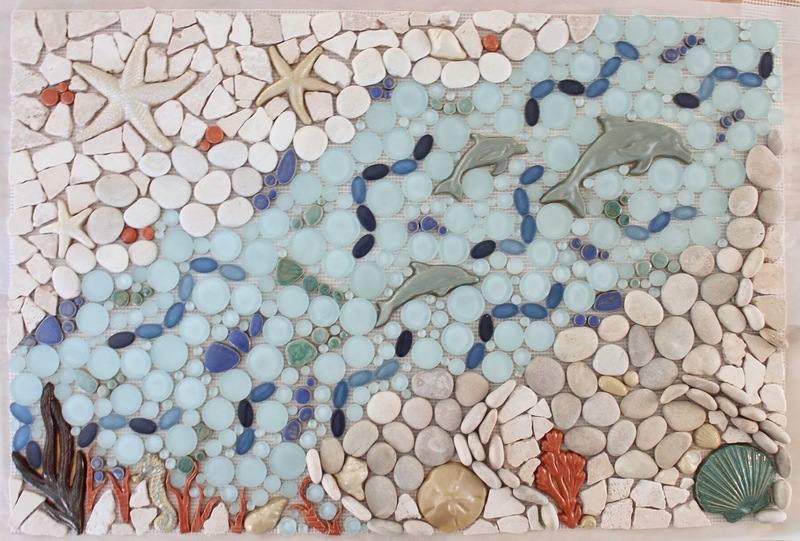 This customer wanted a funky ocean border above their kitchen counter as well as a custom backsplash mural! 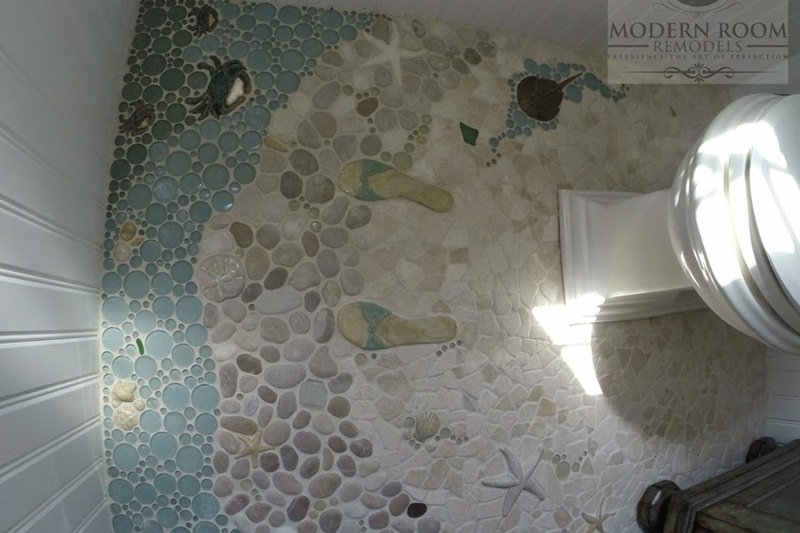 And this is the final product after being installed! 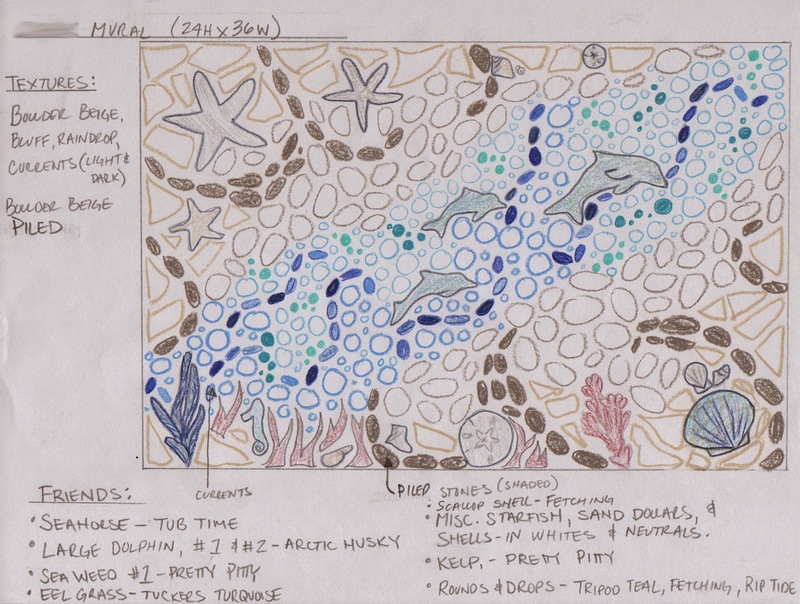 This customer wants an extravagant mural filled with dolphins, a seahorse, and more! Some customers feel more comfortable seeing their order before it's glued, cut, and shipped out, so not only do we offer sketches, but we offer dry-lay photos as well. 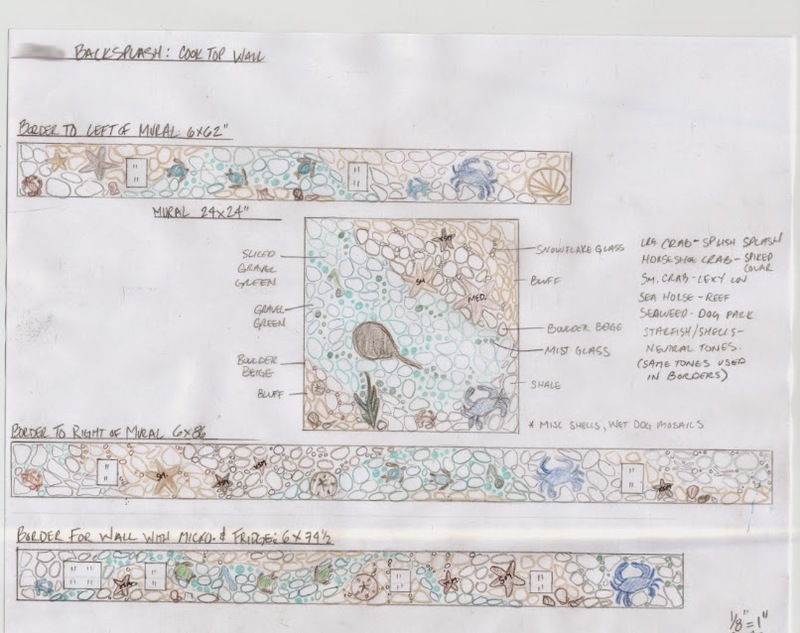 A sketch gives a visual idea of what to expect, but a dry-lay photo shows how all the pieces and colors blend together, like this one below. Which is your favorite? Leave a comment!